I have written a few posts recently about requesting help and the difficulty many of us experience in doing so. It’s a topic that is oft repeated. Not only do many have difficulty in asking for help, we are often unsure about when to offer help, how to help, and whether any assistance will be beneficial. In a comment on one of those posts Anne Goodwin, who blogs at Annecdotal, said that the way our first cries for help are responded to in infancy influences our attitudes to asking for help later in life. I suggest that the way we are responded to when offering to help in those early years also influences our attitudes later. Sometimes, when young children ask, “Can I help?”, parents are reluctant to involve them because of the additional time required, and often the extra effort it takes to clean up the mess that may also be created. However, I recommend that the time and energy expended are more than compensated for by the benefits to the parent-child relationship, as well as to the child’s development of knowledge and skills. Just as time to play together and read together is factored into the family routine, it is important to set aside time for tasks such as cooking and cleaning that help to develop independence and life skills. With cleaning, as with other tasks, it is important to provide guidance and encouragement, and to accept the result. Don’t expect the child’s efforts to match yours. You can always finish off the task later, if you must, when the child is out of sight. Expecting too high a standard or being too critical will discourage a child’s willingness to try again. As at home, in the classroom children can take responsibility for cleaning up after themselves and working together to keep the room organised and tidy on a daily basis. It may take a little longer to establish good habits initially, but the benefits are reaped throughout the year. When I was in the classroom I provided children with a number of strategies to help them develop organisation skills. At the beginning of the year I showed them how to organise their belongings in their tidy trays so that they could easily find what they were looking for. I made a photo display to provide visual as well as verbal reminders. Throughout the day I would play music or transition games to help them move from one activity to another, and to indicate how much time remained until they were to be ready for the next activity. We had a wonderful programme called You Can Do it! which helped children develop personal and social skills, one of which is organisation. We had a great set of songs to support development of the skills. At the end of each day when it was time to pack up, I would play the organisation song. The children would happily sing along and have the room neat and tidy and themselves ready for home by the time the song ended. These simple strategies helped the day run smoothly and required a minimum of instructions and reminders. Cooking, or more specifically food preparation not necessarily requiring heat, in the classroom requires additional planning which will be influenced by the facilities and support available. Whenever possible I organised cooking experiences for small groups with the assistance of an aide or parent volunteer. This gave children more opportunities for discussion and involvement. I always organised for the healthy smiley face sandwich to be made in small groups. Cutting up fruit and making fruit kebabs is suitable for small groups too. Children can be asked to bring in a serve of fruit to contribute to the choices. We used to have a daily mid-morning fruit snack so it did not require any extra effort on the part of parents, just scheduling on my part. One of my favourite cakes to cook with children is a moon cake. It is both fun to make and delicious to eat, and provides many opportunities for discussion. It is just as suitable for making in the classroom as it is for home. I have prepared a guided recipe which will be available on my readilearn website. I recently made the recipe with my grandchildren. They were eager to help and took turns to add and mix the ingredients. There are sufficient things to do to give everyone in a small group an opportunity of being involved. However, it is also suitable to do with the whole class observing while individual children do different tasks. Making the cake provides great opportunities for observing, turn taking, vocabulary development, curiosity, and development of science knowledge. All of these contribute to life skills and experiences. And then there’s the treat at the end! Although involving children in tasks like cooking and cleaning at home or at school involves extra organisation and time, it is well worth it for the long-term, as well as immediate, benefits. Do you have any recollections of helping with tasks at home or at school? How did you feel about it? How has it influenced your current attitudes? This entry was posted in Early childhood education, Education, Family, Teaching resources, Traditional schooling and tagged cleaning, cooking, development, early childhood teaching resources, helping, learning, organisation, recipes, teaching on June 24, 2016 by Norah. 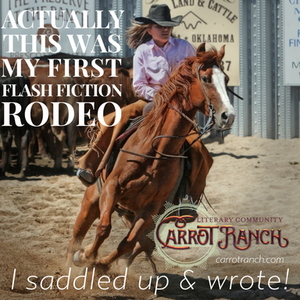 Last week I shared with you the post in which Charli Mills acknowledged that the Carrot Ranch was in Crisis. She admitted that, although she doesn’t like to ask for help, she needed it. She explained not only the type of help she required, but also the ways in which she is able to help others. I know many of you popped over to the Carrot Ranch to read Charli’s story and lend a helping hand. I sincerely thank you for doing so. wish to admit that we can’t do it on our own, that we’re not perfect, not coping, or can’t do it all. or fear making our vulnerabilities obvious when we had tried so hard to obscure them. Of course, once one asks for help, then one must be prepared to accept kindness from others. Again, this is not always easy. 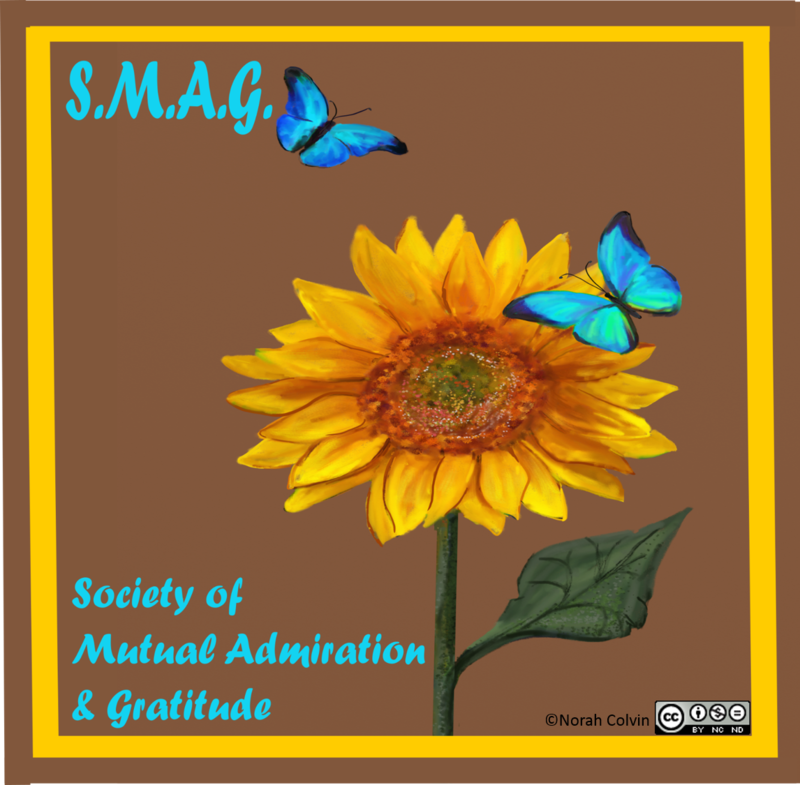 Susan Bruck who blogs at To Wonder at Beauty admitted as much in her recent post Appreciating kindness — the Practice of Gratitude. Susan says, “I used to feel that I had to do everything myself. I never thought I was perfect, but I wanted other people to think I was.” She says that she needed to learn how to accept that making mistakes was a part of life. Barbara Vitelli who blogs at Book Club Mom also confessed her reluctance to ask for help in a post entitled The Art of Asking, using the title of Amanda Palmer’s book, which she reviews. Although the title appealed for its “self-help” potential, Barbara considers herself to have been misled as it is “mostly a memoir about Palmer’s performance and music career.” I guess this demonstrates, in part, that admitting help is required, if only to oneself, doesn’t always bring forth the assistance required. We need to know where to look and who to ask. Barbara alerted me to a TED talk by Palmer about the art of asking. Palmer talks about her time as a street performer, then as a musician when she asked her fans for a place to sleep, for food, and for musicians to support her performances. She talks about making her music available for free, and explains the difference between making people pay, and asking people to pay. My son-in-law has been telling me about this concept for some time as he uses it for music he performs and purchases. Three other organisations that do something similar by requesting financial support rather than payment by subscription are Wikipedia, The Conversation, and Brain Pickings . I’m sure there are others but these ones came immediately to mind. 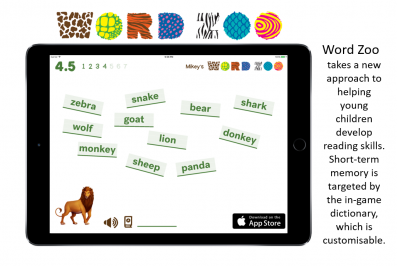 As readilearn, my website of early childhood teaching resources, moves ever so slowly towards launch day, these ideas have got me thinking about my decision to go with a subscription model. My intention is that some resources will be available free to registered users, but the majority will be available through an annual subscription of $25. I’m not about to change my mind, but I wonder how well it would work if I was to ask users to pay on an honour system, as others do. Of course I don’t have a following like Palmer’s fan base, or a readership to match Wikipedia. How useful others will consider my resources is yet unknown. It will be impossible for me to ensure that users of my site don’t share with others or keep resources after their subscription expires. It’s just the way it is in the digital world, and with teachers. I know that. In this way I am already placing a certain amount of trust in people’s sense of fairness. I hope they consider my price fair, and that they will treat me fairly in return. It is an interesting concept. It is often said that you only get what you pay for. If you don’t have to pay, will you? Everybody loves to get something for nothing, don’t they? It would be interesting to be able to compare two similar (small) projects, one with a set price, one with an honour system. What do you think? Do you find it easy to ask for help, or are you in the reluctant boat? Have you ever put your hand out and asked for help? Have you used an honour system of payment, either in a project of your own, or when using the products of someone else? Do you consider, as Palmer does, that the honour system of payment is similar to asking for help? This entry was posted in Early childhood education, Education, Teaching resources and tagged asking for help, early childhood, help, honour system, payment, subscription, Teaching Resources on June 21, 2016 by Norah. You’d have to be mad! That is, as in M.A.D. — Making a Difference. I love to hear of children being involved in projects that help others, that aim to make a difference to the world. I have previously written about some of those projects here, here, and here. Sarah Brentyn, who blogs at Lemon Shark, often shares about the wonderful ways in which she and her boys are making a positive difference in their community. Encouraging kids to eat healthy, and to spend more time outdoors. You can see a celebration of their projects in this video. Mr. C. said that it was one of the most rewarding aspects of his 20+ years teaching career. The acknowledgement received from their member of parliament in the Canadian House of Commons, and his encouragement for others to join in, further affirmed the merit of the project. Now Mr C. is reaching out to other classes around the world to join in with their M.A.D. 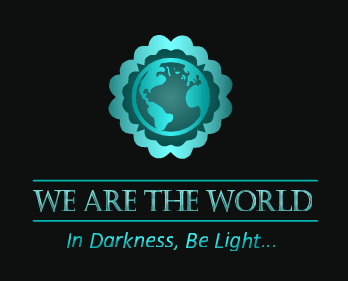 projects and form a Global Make a Difference Team in which participants “complete a M.A.D Project to help make our world an even better, happier, healthier place to live”. Their goal is to have 100+ classes join in. Will yours be one of them? Places on the map are so far confined to North America. How wonderful it would be for locations to be added from all around the world. Children would see not only the differences they are making in their own communities, but also the positive actions of others around the world, which may in turn, inspire further projects. Be sure to let us know of other projects that involve children in making a difference. I know there are many, some conducted by organisations, and others by individuals and families. They are what give us hope for the future. This entry was posted in Education, Self esteem, Teaching resources and tagged Compassion, helping, learning, M.A.D. projects, making a difference, teaching, teaching and learning on June 17, 2016 by Norah. This entry was posted in Blogging, Education, Flash fiction, Writing and tagged Compassion, crisis, Flash fiction, help, Writing on June 14, 2016 by Norah. As completion, and therefore launch, of readilearn, my website of early childhood teaching resources approaches, it has become obvious that some categories are less well-resourced than others. I consider food preparation to be a great way of involving children in learning that is fun, purposeful, integrates curriculum areas, and develops skills that can be applied in everyday life. I have previously written about learning in the kitchen with suggestions for parents at home. readilearn materials are designed to engage children in activities that are both fun and purposeful, with opportunities for learning across the curriculum in a meaningful context. A remedy was required and I tried to think of other resources I could add. When I made one for my grandson on the weekend, I was pleased that he recognised it as a ladybird beetle, even without the spots! Unfortunately, it’s more suitable for an adult to make for a child than for children to make for themselves. Apples are too difficult for young children to cut. It is therefore not suitable for readilearn. However, I had fun making it and will continue to think of other recipes I can add to readilearn’s cooking collection. This entry was posted in Early childhood education, Education, Literacy education, Mathematics, Teaching resources and tagged cooking, cooking with kids, learning, learning in the kitchen, procedures, recipes, teaching, Teaching Resources on June 10, 2016 by Norah. it is difficult to tell whether someone, even a child, is lying or not. I asked him what the problem was, and he explained that he had parked too close to the car beside him and couldn’t get out. I walked around his car and saw that there was a gap of about 15 centimetres between the two cars, not enough to open a door. I didn’t respond to his remark but thought, “Yeah right!” I then proceeded to guide him out of his car park by suggesting he tuck in his side mirror and straighten his wheels. He was then able to reverse out without hitting the car beside him, and drive back in giving himself enough room to get out of his car. Although he stated his innocence, I didn’t know if he had caused the damage to the mirror on the other car. Why did he protest immediately when I’d hardly had time to notice it, let alone mention it? Wouldn’t he have done better to say nothing? Was it too much of a coincidence that the car should be damaged in a way that may have been caused by this young man trying to reverse out? Why would he have even noticed the damage to the mirror or think it worthy of mention? Did his protests not imply his guilt? If he was guilty he should leave a note for the driver, apologizing and giving his details. If he was guilty and didn’t do that, should I leave a note telling the driver his licence number and explaining what I suspected? What if I supplied that information and he was innocent? What then? I’d be telling a lie. Call me gullible but I do prefer to take people at face value and believe in their honesty. That doesn’t mean I don’t have a suspicious mind. However, I had no way of ascertaining, without access to transdermal optical imaging, as mentioned by Kang Lee whether this young man was telling the truth or a lie. So I wished him a good day and left it at that. When I returned to my car in the afternoon, both cars were still there. I checked the young man’s side mirror to see if it was damaged. I thought that if he had damaged the other car’s mirror with his, then his mirror would likely be damaged too. But it was not. Was he telling the truth? Was it just a coincidence? I’ll never know. But it did give me something to think about. PS The characters in this story are real, as are the incidents. It was a young male driver, and not me, who was having difficulty parking! And me who helped him! This entry was posted in Education and tagged honesty, lies, lying, truth on June 7, 2016 by Norah.